NextWhat Are The Most Promising Coins in Late 2018? The sports industry is booming. Just one look at the stats?—?KPMG found that the global sports market is worth $600-$700 billion annually with a growth rate that outpaces the GDP of most countries?—?and it’s clear that the industry is experiencing an incredible rise in revenue with no signs of slowing down. In fact, some annual market estimates go as high as $1.3 trillion when including all aspects of the diverse businesses within the sports industry. With technology now at the fingertips of an increasing number of athletes, sports fans and brands, the industry is working diligently to not only meet but exceed consumer expectations. Sports organizations are adopting a data-driven decision-making strategy at all levels, from player recruitment to fan engagement, which has led to increased investment in data services and highly customized analytical solutions. With a market size of only $125 million in 2014, sports analytics valuation jumped to $764.3 million in 2016 and is expected to reach a staggering $4.7 billion by 2021. Technavio’s analysts estimate the global sports analytics market to grow at a CAGR of 56.66% between 2017–2021. Given the tremendous growth in the sports industry and related businesses, it has become clear that technology and sports are becoming further intertwined in a multitude of ways that will benefit teams, fans, and the industry at large. Early sports analytics adopters such as Major League Baseball’s Oakland Athletics, popularized in Michael Lewis’s book Moneyball and the Hollywood movie of the same title, demonstrated the power of big data in evidence-based recruitment tactics. Lewis’s book helped showcase how player performance could be measured based on advanced analytics rather than traditional statistics (Home Runs, Runs Batted In, Average, OPS), subjective experience, and intuition regarding a player’s future performance. Baseball was one of the first sports to adopt big data in player scouting and recruitment. The industry has come a long way since Billy Beane and his staff introduced the concept in the early 2000s and teams now have dedicated staff focused solely on analytics. General managers, managers and coaches use performance data to optimize rosters and ultimately improve team competitiveness in the league. A complete player profile based on continuous data visualization may determine whether a player should be drafted, traded or start on a given day based on matchups. Additionally, players have begun to adopt data into their daily and offseason preparation routines. Data aggregation and monitoring technologies are becoming increasingly sophisticated. Player performance is recorded and analyzed by cameras, sensors and wearables that account for every aspect of the game. Tremendous advancements have been made in wireless sensor technologies, RFID tagging and real-time visualization. All driven by big data, these technologies provide the most intricate details about player performance and even notify staff when a potential injury could occur (and even how to avoid one). Though some professional sports leagues such as the National Hockey League still oppose the use of GPS trackers during games, they are part of standard training kit for the NHL and practically every other professional sport. In contact sports like American football or rugby, wearable sensors have proved to reduce injury levels by monitoring and analyzing the intensity of activity and impact of collisions, and by reviewing historical data. Today players use analytics to monitor caloric intake, set training levels and even interact with fans?—?leveraging every advantage to boost performance on the field. Modern fans don’t merely watch sports?—?they connect in real time, socializing, critiquing, and engaging deeply with each event. Sports fans are viewed as true brand partners by advertisers due to their loyalty. With global sponsorship expenditures reaching over $62 billion in 2017, the importance of understanding and effectively managing this evolving relationship is coming to the forefront. The North American sports market alone is projected to grow at annual rate of 3.1% by PWC, from $69.3 billion in 2017 to $78.5 billion in 2021. Sports media rights are expected to grow at the fastest pace ever, from $19.1 billion this year to $22.7 billion in 2021. In fact, 2018 is projected to be the first year media rights will exceed ticketing revenues. There are tremendous opportunities for rights holders and brands that accurately collect and effectively apply their consumer data. Yet continuous growth of mobile media consumption, shortening consumer attention spans and increasing competition are forcing rights holders and brands to adopt a more flexible approach to sponsorship deals. Additionally, they are positioning themselves to rapidly pivot strategy and adapt to major or unexpected events to take advantage of opportunities as they arise using insights from fan/customer data. Not surprisingly, social media plays a prominent role in the sports industry. New revenue streams are being generated as a result of increased fan engagement and social media immersion. With Facebook, Twitter and Instagram Live streaming sports events, additional avenues for user-generated fan content are emerging simultaneously. Athletes and influencers have become tremendously important for connecting with digital audiences and ‘accidental’ endorsements (when a celebrity athlete uses a product or service ‘by chance’) have proven to instantly boost a brand’s popularity. A fine example is Manchester United’s sponsor Adidas teaming up football star Paul Pogba with Grime singer Stormzy in a music video that quickly went viral. Last, but certainly not least, sports fans are living a dream with their newfound ability to access players, coaches, owners and even influence team decisions by submitting their game insights. Arenas and other related businesses can also utilize the power of big data and sports analytics to attract new spectators while increasing the loyalty of their existing fan base. Fans crave immersive personalized experiences with real-time analysis and in-game insights while watching a game live. Connected stadium technologies are evolving using data and analytics to provide fans with relevant information during live events. Arenas and vendors offer “always on” wireless internet for instant mobile access to app-driven services that keep fans engaged, boost convenience and even put fans in control of the cameras. The National Football League’s San Francisco 49ers, New England Patriots, Denver Broncos, and several other teams have mobile apps allowing visitors to find parking, obtain exclusive promotions and receive traffic information to speed the trip home. Voice controlled devices and smart assistants are also making their way into sports, with Alexa leading the way. At Safeco Field in Seattle, fans in each of the 59 suites can now use Alexa to order food, change TV channels, play music and much more. The plethora of details available through these channels, in regard to fan personalization, enables companies to target their audience in a razor-sharp manner; leading to unprecedented analytical accuracy and new revenue possibilities through products and online offers. Virtually all major sports teams are already taking advantage of the intelligence their data provides. Since the U.S. Supreme Court struck down a federal law that previously made it illegal to bet on sports events in any state other than Nevada, sports data has become an even hotter commodity. While the U.S. sports betting market is still developing, one tech savvy league has found an unprecedented way to monetize their data through a commercial data sharing deal with a casino giant. MGM Resorts and the National Basketball Association announced a multiyear partnership establishing the casino company as the “official gaming partner” of the NBA and WNBA. Does this mean that other betting operators will buy data directly from pro sports leagues? Or that other leagues will even want to follow the NBA’s lead? That remains to be seen. What is perfectly clear is that data aggregation and visualization will be incredibly important for all parties as bettors strive to find helpful analytics to help them beat the odds. Disruption is virtually everywhere in sports these days. From technological advancements to radical changes in socialization, today’s consumers and businesses would have been almost unrecognizable 20 years ago. 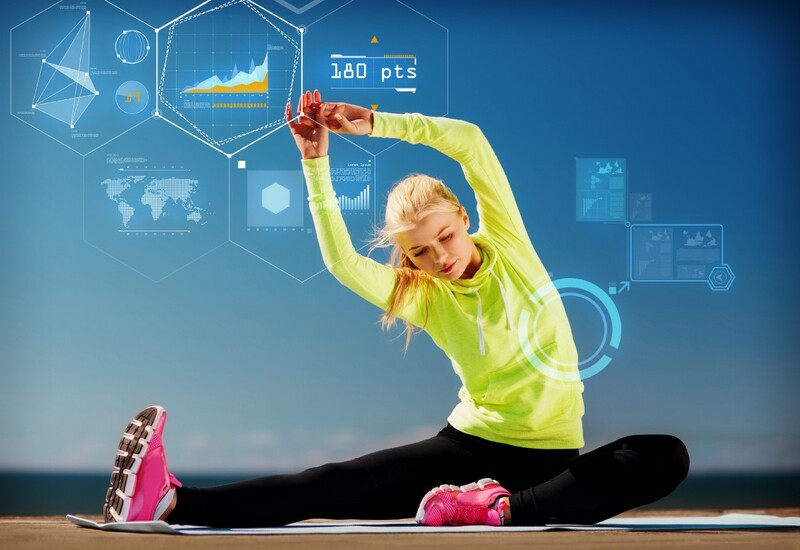 Big data and sports analytics are leading us into a revolutionary future, with an unprecedented level of personalized interaction, innovative engagement and new revenue streams to entice and excite even the most seasoned players in the industry. Originally published at www.itproportal.com on October 9, 2018.